Listeners can hear a difference between standard audio and better than CD quality, known as high resolution audio, according to a new study from Queen Mary University of London (QMUL). The study compared data from over 12,000 different trials from 18 studies where participants were asked to discriminate between samples of music in different formats. Many in the music industry have been split as to whether people can really hear a difference between CD quality music and high resolution audio – even celebrity musicians have entered the fray with new music streaming services: Tidal launched by Jay-Z and Pono players and music service spearheaded by Neil Young and crowd funded through a Kickstarter campaign. Both streaming services launched in the last two years have been met with scepticism. However, this new study found that listeners can tell the difference between low and high resolution audio formats, and the effect is dramatically increased with training: trained test subjects could distinguish between the formats around sixty per cent of the time. Writing in the Journal of the Audio Engineering Society, the research suggested that careful selection of stimuli, such as using long samples of more than 30 seconds, may play an important role in the ability to discriminate between the formats. Dr Reiss explained: “One motivation for this research was that people in the audio community endlessly discuss whether the use of high resolution formats and equipment really make a difference. Conventional wisdom states that CD quality should be sufficient to capture everything we hear, yet anecdotes abound where individuals claim that hi-res content sounds crisper, or more intense. And people often cherry-pick their favourite study to support whichever side they’re on. 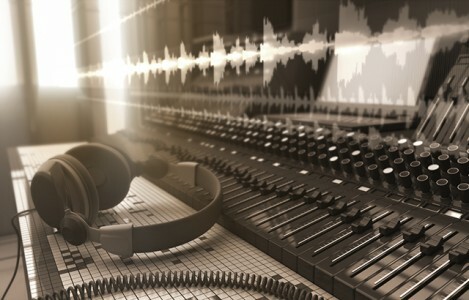 The samples analysed were mainly classical and jazz music, though it’s not clear for which type of music high resolution recording and playback made the biggest difference. ‘A meta-analysis of high resolution audio perceptual evaluation’ by Joshua D. Reiss will be published in the June issue of Journal of the Audio Engineering Society.